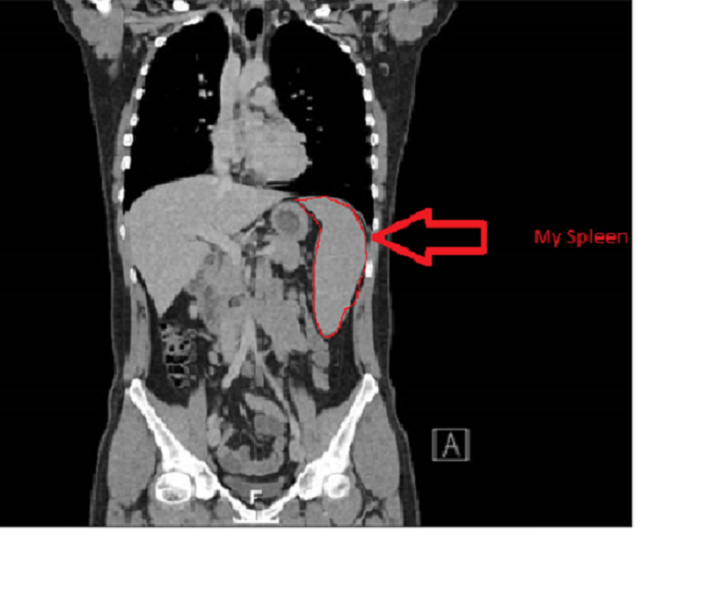 Photos of my Spleen and other squishy bits inside, get to know me that bit better. Its a very strange experience seeing your own insides. The Professor showed this to me in a video, the pulsing of my heart and the pumping of my blood. I only have a couple of snap shots to share but yes that is me, at a visceral level. I think we often forget we are all composed of organs, fleshy bits and blood but this brings it home to you. We obviously have consciousness, a mind to think with, an appreciation of art and the abstract but on a very basic level we are just an organic machine. Its important to remember this as machines sometimes go wrong and there often isn’t a reason why. Its not because I inhaled asbestos or ate bad food or bungee jumped, something just went wrong, it just did. Its like your gearbox failing or your clutch slipping. I’m just lucky that what went wrong didn’t write off my machine. These photos are very odd to look at. Welcome to the sum total of my body. 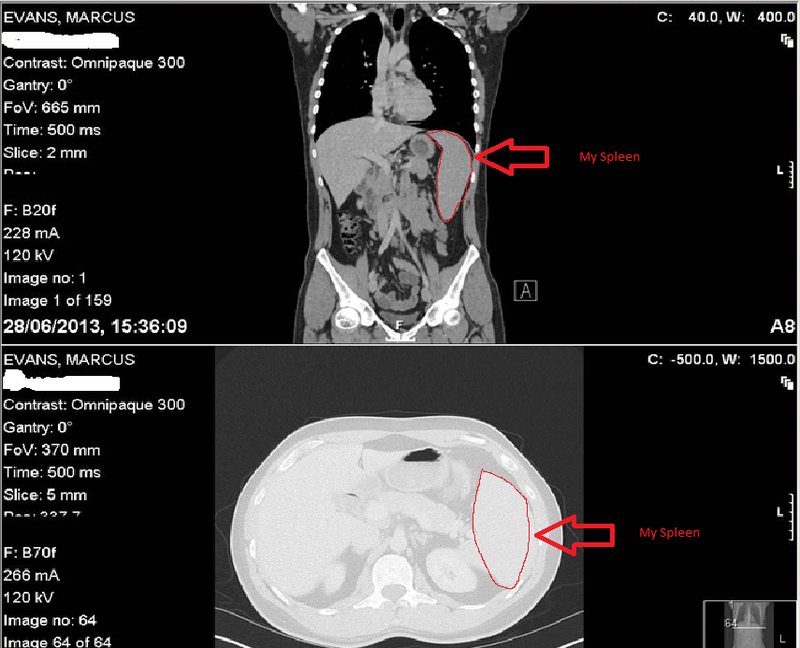 Anyway, I have highlighted my spleen on the picture. I recognise a few of the other organs, feel free to take the picture and mark what they are on there. If anyone does I’ll blog that too. Yes, almost as enjoyable as holiday pictures :). I have some great pics and videos of my heart from an MRI and 3d echo cardiogram if you wanna trade. It’s like the silver football stickers back in the day! Best of luck Marcus. Wow. This looks familiar, I am 35 years old, I am a long distance runner, and I also have smzl. I am waiting to start rituxan treatments in a few days. Thanks for sharing your story!